Doreen Donovan serves as Vice President of Administration and Compliance. 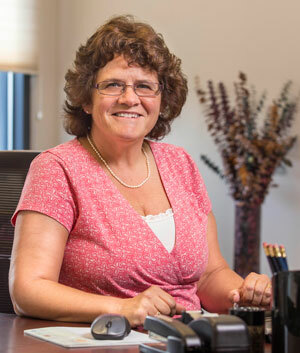 With over 30 year of industry experience in multifamily asset and property management, Doreen specializes in the administration of affordable housing assistance. Her primary objective is to maintain a high standard of client service, consistent with the company’s reputation for excellence in business practice. She is directly responsible to ensure that all client properties offering affordable rental housing, under one or more governmental assistance programs, are leased and operated in strict compliance with program requirements. She has the authority to establish and implement controls to document program compliance at the property level; including, but not limited to, the development of systems, materials, staffing, policies, procedures and requirements for employee training, internal controls and oversight, reporting and administrative follow-up. She directs the development of company policies, procedures, training, education and software technology relating to program requirements. Certified Property Manager (CPM) with the Institute of Real Estate Management (IREM); certified as a National Affordable Housing Professional Executive (NAHP-e®), and a Specialist of Housing Credit Management (SHCM) with the National Affordable Housing Management Association. Housing Credit Certified Professional (HCCP) with the National Builders Association. Current member of Citizens Housing and Planning Association, Greater Boston Real Estate Board, National Leased Housing, NAHMA and NEAHMA. Licensed Massachusetts Real Estate Salesperson. Served as Director of Operations/Vice President of Administration and Compliance for Corcoran Jennison /CMJ Management Company with responsibility for the day-to-day management and overall administrative, financial, operational and compliance oversight for up to 74 multi-family residential and commercial properties in 14 states. Compliance activities included management contract renewals, rent increases, interpretation of state, federal and local regulations, including fair housing/504 regulations. Served as Asset Management Officer for MassHousing, responsible for a portfolio of up to 18,000 units and was part of the team involved in the restructuring and refinancing of the SHARP portfolio. She acted as Chairperson and Coordinator for the MHFA Policy and Procedure Review Committee and was recognized by the Agency with an Outstanding Achievement Award. Recognized by NEAHMA as the NAHP executive of the year in 2008 and by IREM as CPM of the year in 2005. Previously served on various committees for several industry groups, Mass Housing Multifamily Asset Management Sub-Committee, the Connecticut Housing Finance Authority and Multifamily Asset Management Advisory Group and, Governor’s Commission for the Reform of Public Housing in Massachusetts as well as NAHMA and NEAHMA. Travel to new locations; Walking/hiking woods and beach; Reading mysteries, historical biographies and Cooking for family and friends.